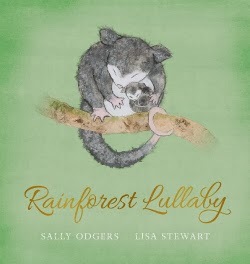 Published by Scholastic Australia in 2013, Rainforest Lullaby is a beautiful poem, a paean of praise for the creatures of the rainforest. 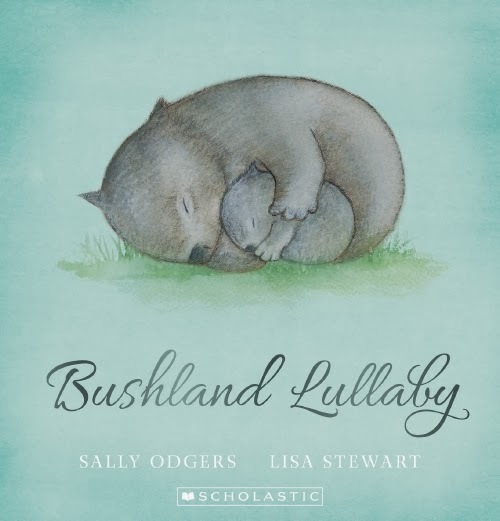 Odgers' lyrical text makes perfect little word pictures for us to share with children. Lisa Stewart’s illustrations have soft, muted colours, and are very textural and evocative of the creatures they represent. The whole atmosphere is one of gentle delight as each little animal settles down to sleep. Little fruit bat’s wrapped in wings. Again, Stewart’s illustrations are perfect for the text, with pastel backgrounds setting off the true-to-life yet beautifully artistic details. My review copies are quality hard-back children’s picture books, RRP $Au24.99, but Bushland Lullaby is also available in paperback.